An Edmonton Homeowner’s Guide To Choosing Your Professional Window Cleaning Contractor. 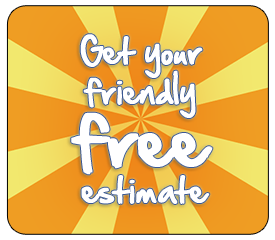 When the friendly crew of fully-trained and authorized cleaning technicians arrive, they’ll again introduce themselves in person, by name, and walk you through the service plan for your unique house, so that you know what to expect (where they will start, where they will end, which windows should be done first and last). Once you have a good idea of what’s about to happen, they’ll remove the ladders and equipment from the clean and well-maintained Clear Skies Window Cleaning vehicle, and individually suit up with excellent condition, professional-grade window cleaning tools. Careful to respect your plantings and garden, and with the steady hand of experienced technicians, they will restore not only your glass, but also your window frames and window sills, at no extra charge. Once your home’s windows look and feel amazing again, the friendly and responsible crew leader will inform you that the work was completed as agreed upon, and invite you to inspect it, to make sure you are completely satisfied. In the event that you aren’t home, you’ll receive a text notification to let you know that the crew has finished, and inviting you to take a close look when you arrive home. Does Clear Skies Window Cleaning sound like the kind of window cleaning company that a person like you would choose to do business with? If you think so, please call or text 780.995.1181 right now to receive a customized, free estimate for the window cleaning needs of your unique Edmonton, Alberta, home. Or click on the button on the right to consult our easy-price estimating chart to see how much your home might cost. Don’t you deserve more friendliness in your life?